In 2014 Deheza moved to Los Angeles to finish the record with Justin Meldal-Johnsen (Beck, Nine Inch Nails, M83), As soon as Alley was settled in LA it took the two only a month and a half to finish the record. “ This is a love letter from start to finish. 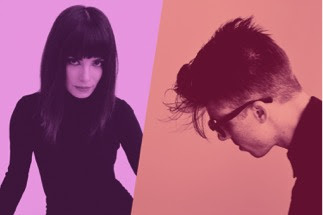 It’s the story of us starting from that first day we met in 2004, and that’s the story of School of Seven Bells,” Alley says, “When I see those roman numerals, I just think of an era”. Alejandra recently chatted with NPR Weekend Edition host Scott Simon about the making of SVIIB. In case you missed it, listen to the interview here. SVIIB will be released on February 26, 2016 via Vagrant Records in the US, and Full Time Hobby in Europe, but today fans can pre-order the album on iTunes.